Experience Golden Dorado Fishing from a modern mothership as your basecamp. This is a brand new operation on Rio Parana in Northern Argentina. Golden Dorados are aggressive, fast and acrobatic fish and super fun to play with. The mothership has everything you need after a hard day of fishing and you will go to bed every night with a big smile on your face. 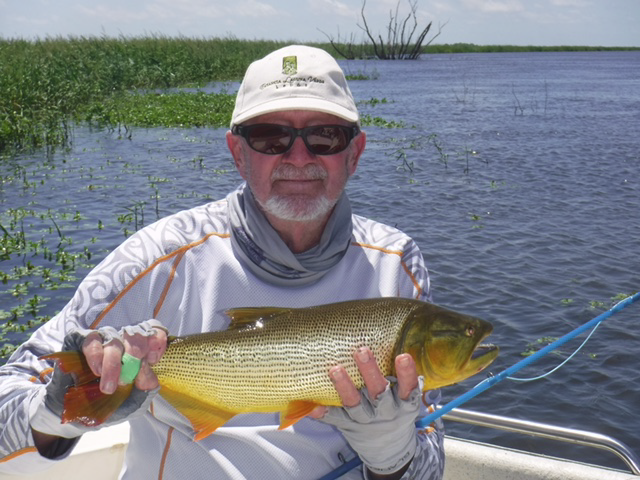 Join us on this exciting Golden Dorado adventure, a trip you will remember for a long time.